PRIVATE POOL | JUSANDI | There are only 5 villas in great nature of Ishigaki where you can relax from heart to soul. Using natural spring water from the affluent Mount Omoto Private pool for each of the 5 villas. Feeling the sea breeze in the middle of rich nature, it is like paradise of peace and calmness without caring about time. 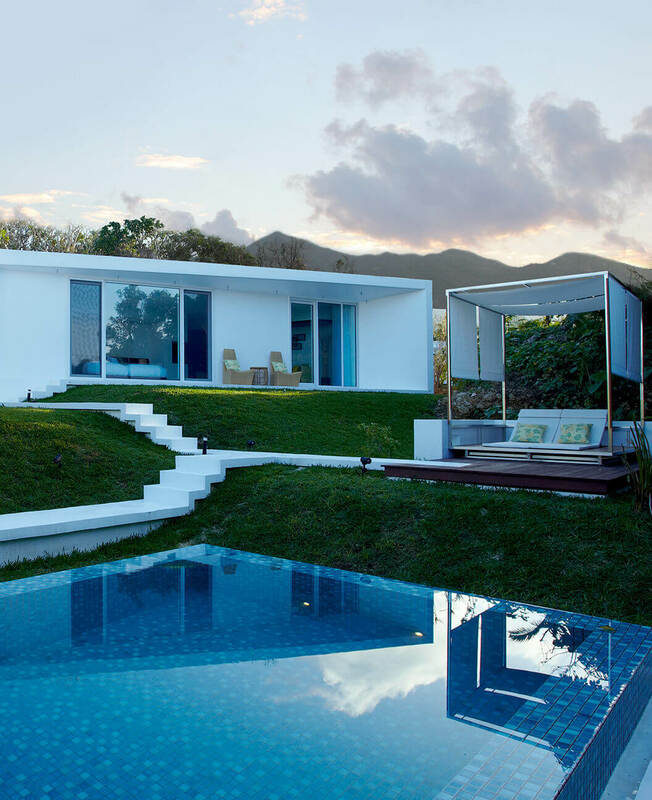 A pure white pathway from the villa will lead you to a pool that is designed based on blue ocean. 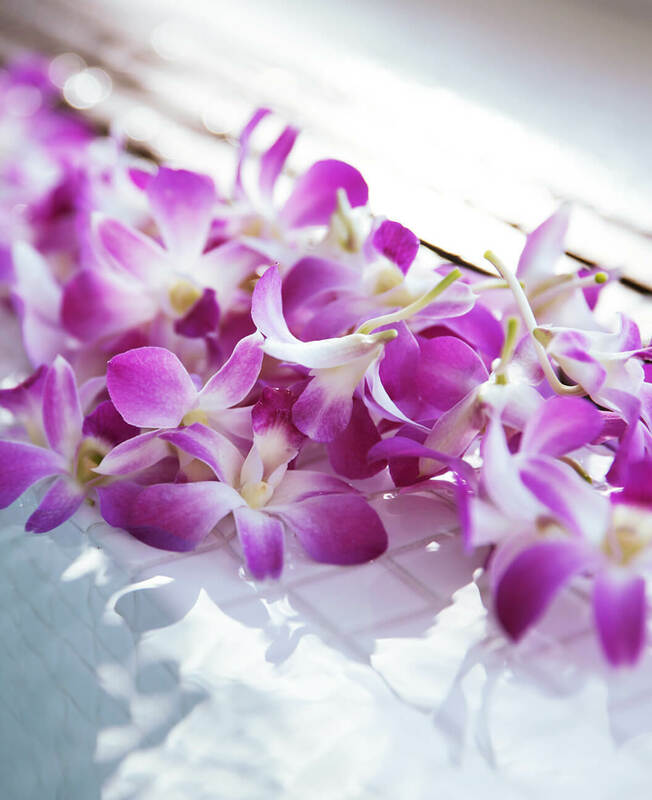 Enjoy your private time looking up at the sky of Ishigaki in a refreshing and open ambience. 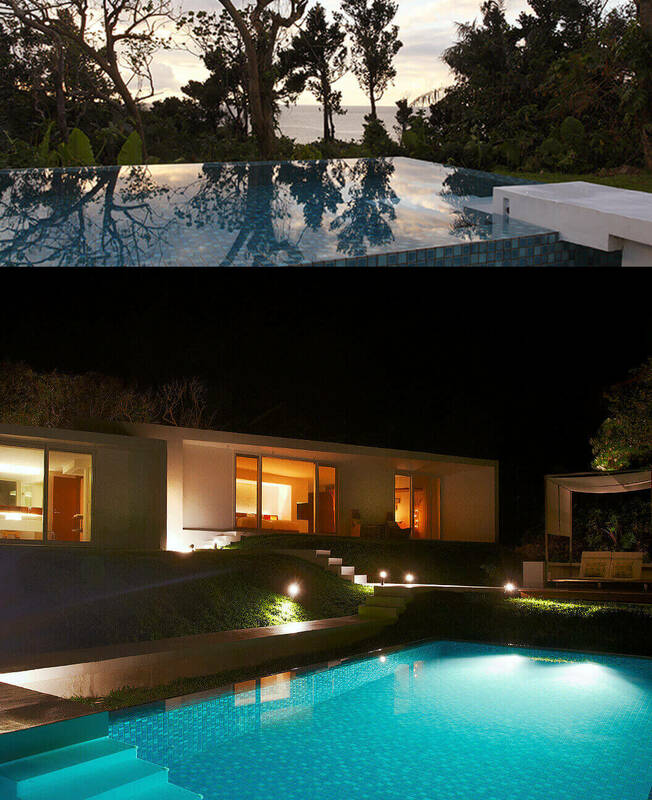 As the sun sets on the subtropical forest of Yaeyama, the pool is lit up and shows a romantic expression different from day time. Spend a night under the skyful of stars listening to the sound of Yaeyama at night. There is a gazebo in the balcony. Please spend a relaxing time at the gazebo listening to the ripple, reading or taking a nap. Enjoy a luxurious moment with your family and loved ones watching the trees reflected on the surface of water and listening to the sound of nature at night. 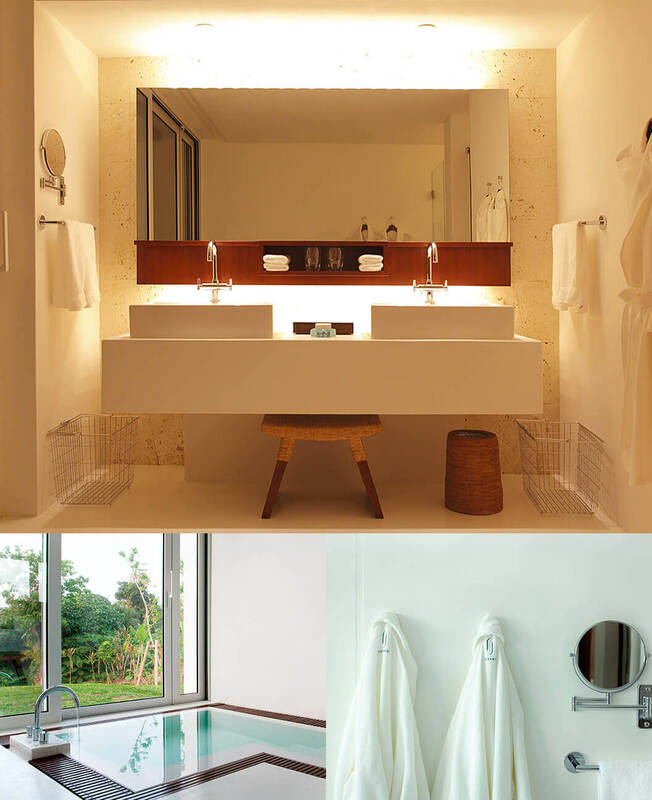 The villa’s pure white bathroom has a wide open window that gives you a sense of unity to nature. Opposite to the window is a large mirror that reflects the scenery of sky and trees adding color to the bathroom. The large bathtub that can even accommodate 2 people will relieve your fatigue and feel close to nature. Put your daily life aside and pamper yourself with an elegant moment of relaxation wrapped in a rich and beautiful scent.